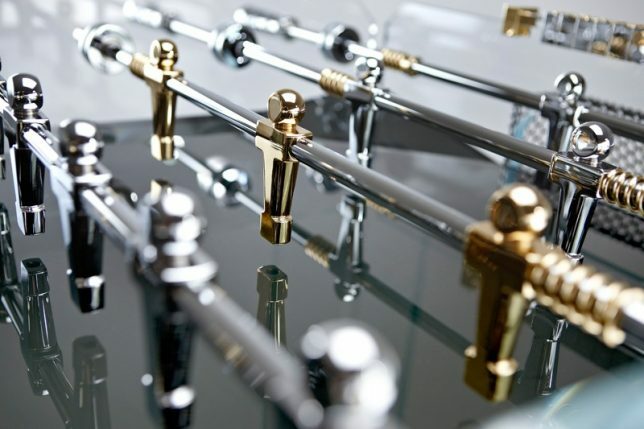 Most game furniture looks like it belongs in a musty basement smelling of spilled beer and body odor, but high end tables for billiards, foosball, ping pong, shuffleboard and other popular indoor games are made to fit right into luxury environments, sometimes even complete with plated gold details. Some are even works of art in their own right, doubling as sculpture, while others bring games that haven’t changed much in decades a little more firmly into the current century. 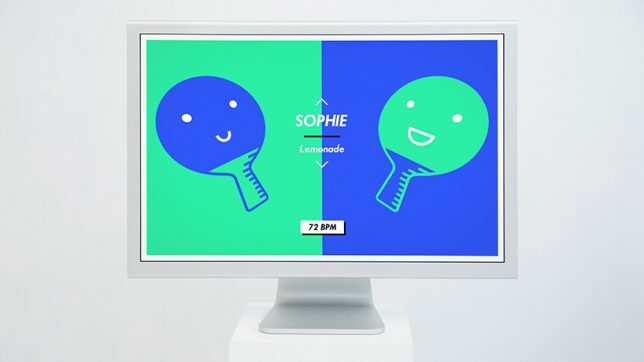 This ‘fun musical take’ on table tennis by English designer Mark Wheeler lets you choose a song to set the tempo of your game, and the song only keeps playing as long as you manage to keep the ball in play. 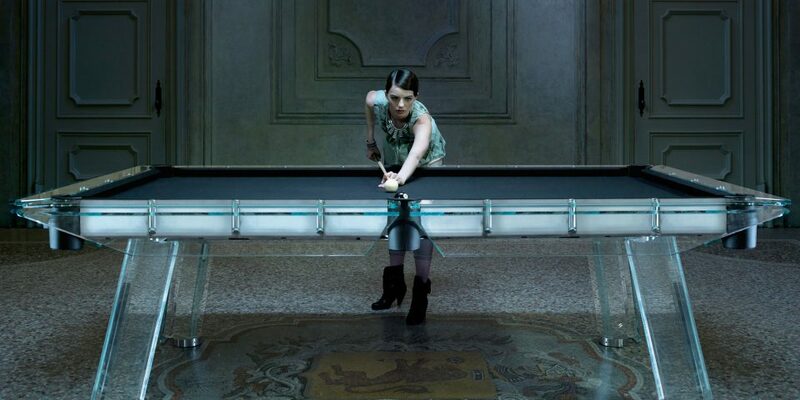 Drop it, and your game is over. 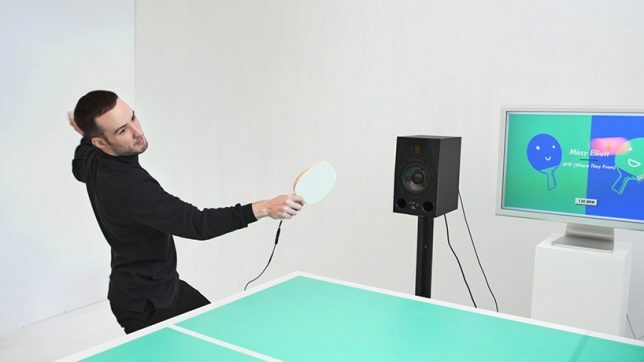 “Usually music listening experiences are strictly about being as true to the original recording as possible. 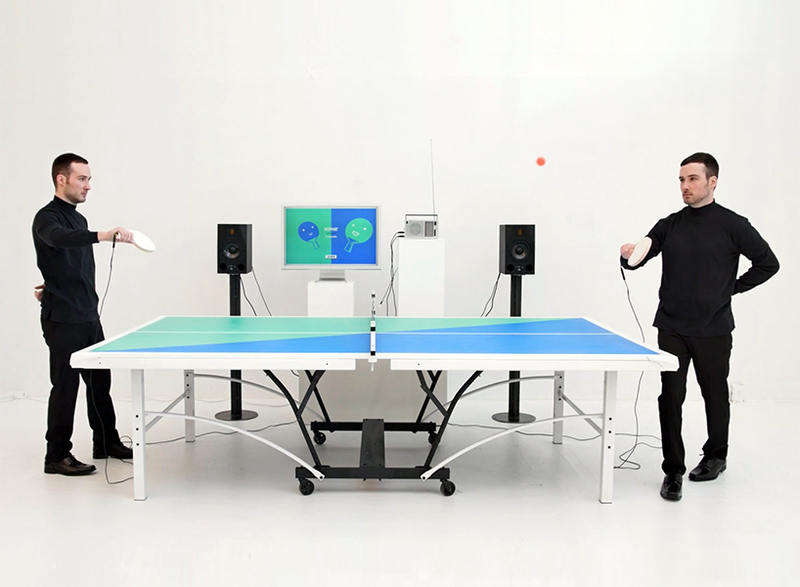 But why can’t listening to a record be as playful and interactive as a live performance?” says Wheeler. 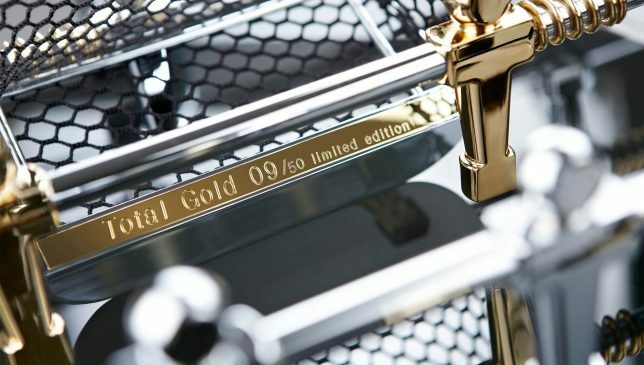 A gold-plated crystalline foosball table is among the ‘luxury’ game options offered by Adriano Design, an Italian-based company operating as both ‘Calma e Gesso’ and ‘TECKELL.’ The Cristallino comes complete with 24-karat-gold plated players – because what else would the owner of a $10 million estate put in their game room? 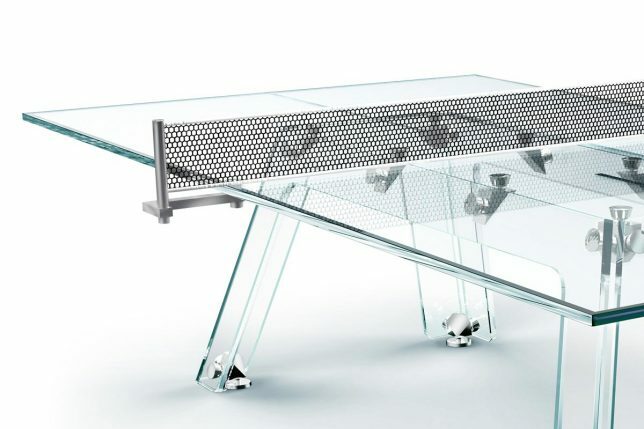 Other offerings include the ‘Filotto’ pool table and the Lungolinea ping pong table, all made in the company’s signature crystal-clear glass. 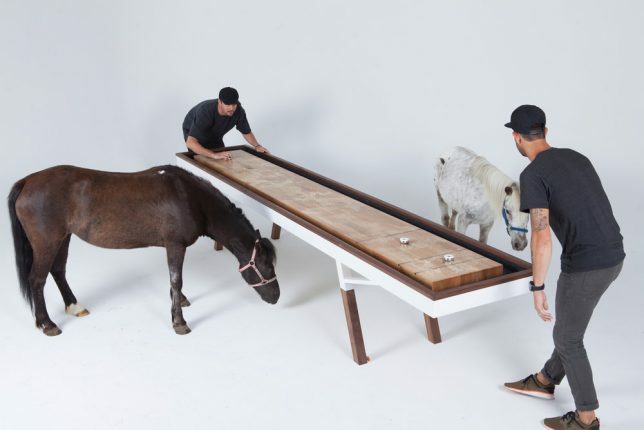 They even produce child-sized ‘Angolo’ foosball table models for kids, which spare no stylish details. 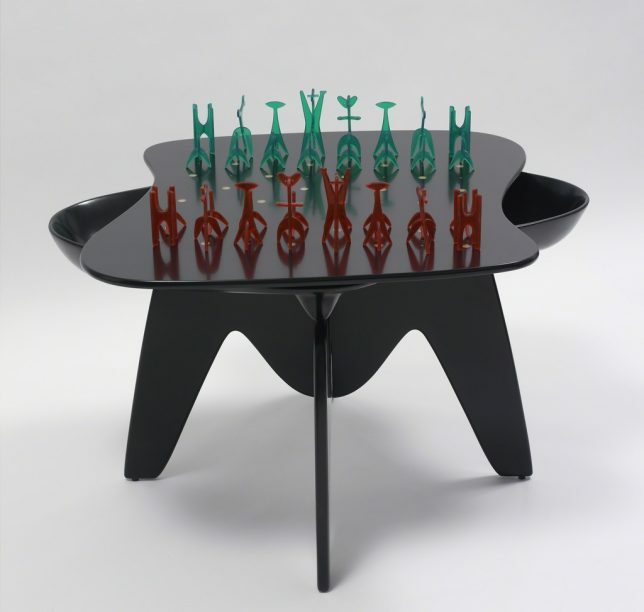 Considered a seminal work of early organic modernism, Isamu Noguchi’s chess table is technically a functional sculpture, presented along with a set of game pieces Noguchi also designed. It debuted at ‘The Imagery of Chess’ in 1944, a show organized by Marcel Duchamp and Max Ernst. 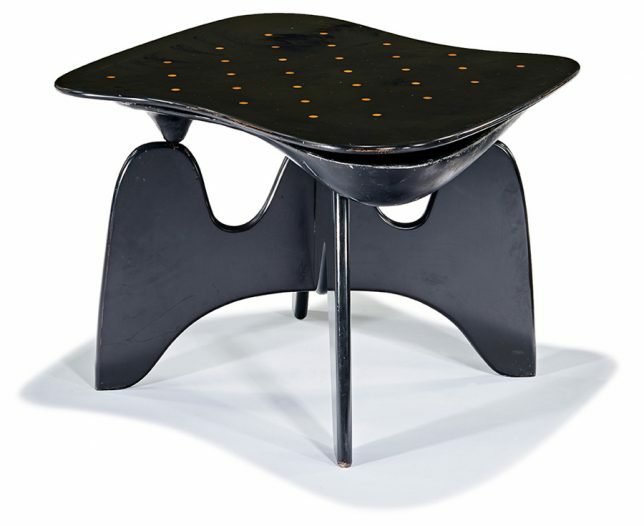 The table was put into production in 1947, but only a few dozen examples exist. One was auctioned in Los Angeles in 2016, selling for over $100,000. 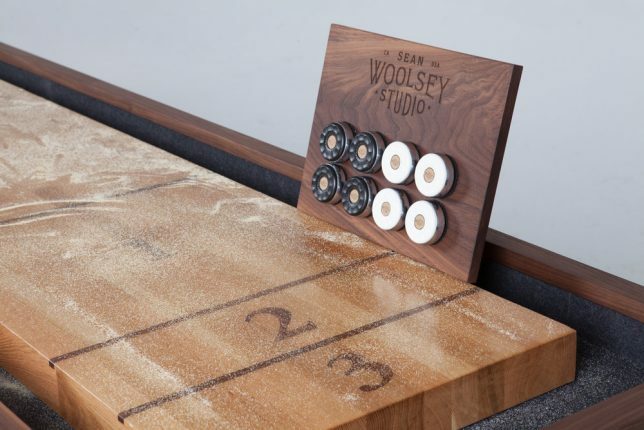 Long, narrow and sleek, the Woolsey Shuffleboard Table by designer Sean Woolsey features a rift-sawn white oak top finished with epoxy resin and solid black walnut legs, which hide leg levelers. 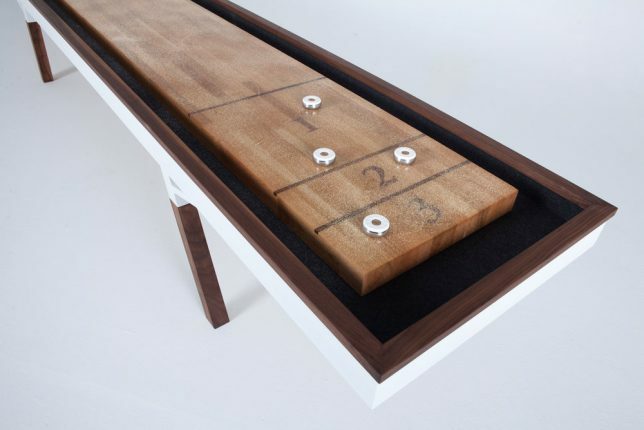 The table comes with 4 white and 4 black pucks, lots of shuffleboard salt and a magnetic wall mount for the pucks when not in use. Prices, unsurprisingly, start at $10K.